Published date: Tuesday January 08, 2019 . HÀ NỘI — Sơn Đoòng Cave in the central province of Quảng Bình has been listed as one of five dream destinations for 2019 by travel magazine Lonely Planet. Sơn Đoòng, the largest cave in the world, is ranked third on the list after the Inca Trail to Machu Picchu in Peru and the ‘Burning Man’ music and arts festival in Nevada, the US. The cave has been recognised as the largest in the world by three international organisations including Guinness (based in the UK), the Association World Record (based in Hong Kong) and World Kings (based in the US and India). 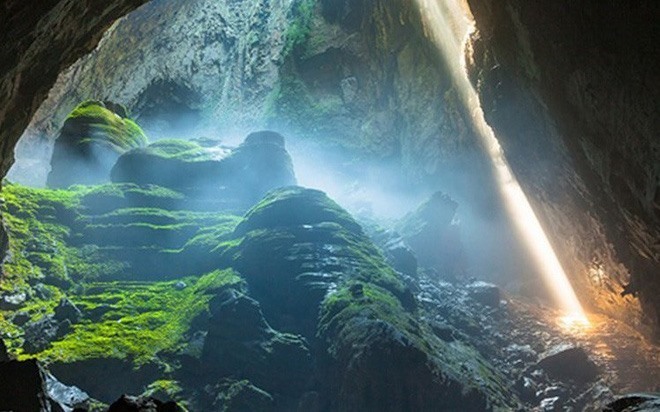 The cave is located in the heart of Phong Nha – Kẻ Bàng National Park in Quảng Bình province. It was discovered by a local in 1991 and was first explored in 2009 by the British Cave Research Association. It has been open to the public since 2013. The nine kilometre-long cave system, which extends through a mountain, was named one of the most captivating caves on earth by National Geographic. Geologists say the cave formed two to five million years ago. It is roughly 200m high and 150m wide. The cave contains some of the tallest known stalagmites in the world, which are up to 70m tall.